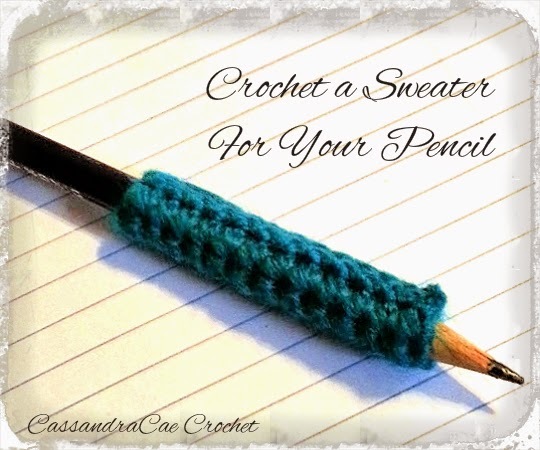 The other day I was browsing Pinterest and I noticed a that someone had knitted sweaters for their pencils. These were too adorable to pass up. I don't know how to knit but I do know how to crochet and I knew coming up with something for my pencil would be super easy. 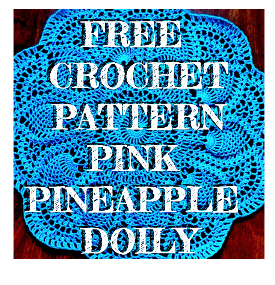 This crochet pattern is great for beginners and this is a super fast crochet project. I have written in it plain English so that anyone can understand how to make these crocheted pencil sweaters. I used Herrshners Afghan Yarn in Dark Teal color number 0040. It's a 2 ply yard so it is super durable and would be a great choice for so many other projects. The weight is fine and listed at a 2. I used a 3.0 mm crochet hook for this project. I have not made a gauge swatch for this project because it is so small but the sweater should be snug on the pencil. It might pay off to measure as you go. This pattern is very adaptable. The pattern is as follows. First start by crocheting a chain of 14 stitches. In the back loop of the chain, starting in the second chain, crochet a row of single crochet until the end of the chain. Make 4 more rows of single crochet. When complete, create a tube for your pencil to be inserted in my joining the long ends of your rectangle with slip stitches. This creates a really cute ribbing effect to finish off your crochet pencil sweater. That's it, you are done. Super easy and a really quick project. I love the way my pencil feels in my hands now, it's not near as cramp-ee. It really helps and it feels better than the store bought pencil grips. And it's cheaper! Make sure you tube fits tight around your pencil so it does not wiggle around. It should be tricky getting the pencil in but if you don't force it, it works out perfectly. Don't forget to "Pin" this pattern so that you can crochet it later. You can add this pattern to your Ravelry Library here. 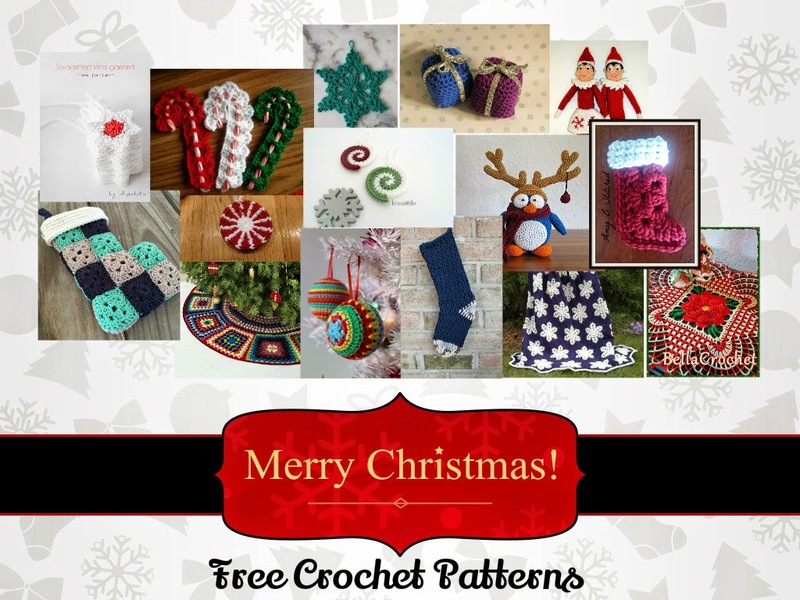 Thanks for stopping by and drop by again for more crochet patterns.